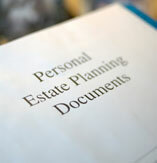 An Estate Plan has several elements. 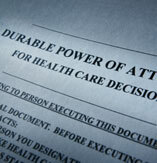 They include: a Will, Power of Attorney and a Health Care Agent Designation. Everybody needs a will. A will tells the world exactly where you want your assets distributed when you die. It’s also the best place to name guardians for your children. Clients and their families often consult with the Law Offices of Talsky & Talsky to avoid complicated probate, reduce estate taxes, protect assets and provide for distribution of their estate. We will review your needs and existing Trust and Estate plans, and outline the best way to accomplish your goals. We will explain to you in understandable language the Trust and Estate planning options available to you including wills, trust documents and durable powers of attorney, living wills and Power of Attorney for Health Care. 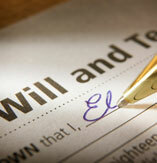 The firm is also experienced in handling very complex estate issues and probate. Individuals and their families have strong feelings about whether there are any circumstances in which medical care should be withheld or enhanced. We are experienced in setting up living wills and Power of Attorney for Health Care for medical agents, durable and springing powers of attorney for financial stability as well as long-term care and disability. We counsel individuals and their families and advocates on what they can do to make sure their wishes will be carried out after incapacity. Mr Talsky will explain in detail the advanced directive options available to you. When an individual is unable to handle his or her finances or personal decisions (including health care and placement), a guardian and/or conservator may be appointed. Talsky & Talsky is well versed in guardianship and conservatorship matters, and will review your situation and outline the best way to address your needs. Talsky & Talsky assists clients with some of life’s most significant events in their greatest time of need. We set a strong standard of efficiency and service, as our clients are their most important asset. You will be treated with respect and kept informed and your questions will be answered promptly.